We speak with Mikhail Red about "Birdshot", his father, corruption, the Filippino cinema, his next film, "Neomanila" and other topics. Born on December 11, 1991, Mikhail Red is an independent Filipino filmmaker based in Manila, the Philippines. Growing up under the guidance of his father Filipino filmmaker and Cannes Film Festival Palme d’Or winner Raymond Red, Mikhail was exposed to cinema at an early age. He wrote and directed his first short film at 15 and immediately earned recognition in local and international film festivals. As a young up-and-coming filmmaker he continued making short films throughout his teenage years, screening his works at film festivals in Hong Kong, New York, Berlin, Seoul, Austria, and Canada among others. At 21, he wrote and directed his first full-length feature film entitled "Recorder", which had its international premiere at the 2013 Tokyo International Film Festival. The film continued its successful run throughout the international circuit, screening and competing in more than ten international film festivals and winning five international awards including the Best New Director prize at Vancouver International Film Festival 2014. His latest film, "Birdshot" was a big success in the festival circuit, screening all over the world, winning Best Picture in the Asian Future category at the 2016 Tokyo International Film Festival, and being the Philippino submission for the Academy Award for Best Foreign Language Film. 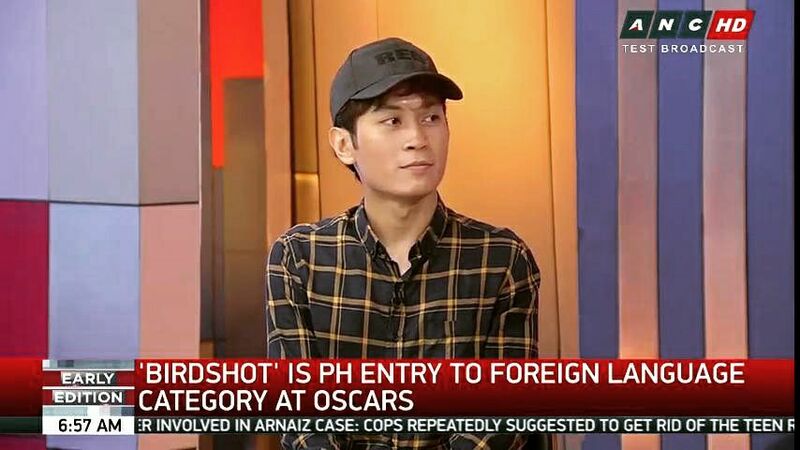 We speak with him about "Birdshot", his father, corruption, the Filippino cinema, his next film, "Neomanila" and other topics. As the son of celebrated director Raymond Red, do you feel your style has been influenced by your father? In general, what was his part in you deciding to become a filmmaker and what kind of help did you receive from him? I was exposed to cinema at an early age and grew up as a second generation artist, but my father never pushed me into the craft. I discovered filmmaking on my own, I started out as a writer, then I transitioned to a visual medium of storytelling. During my high school years ,I experimented with short films which subsequently found an audience in film festivals. My father casts a long shadow but we have very different voices. Most of his films reference the past while my works tend to explore new possibilities of the future and I tend to do a lot of genre hybrid “what ifs” combined with social commentary. 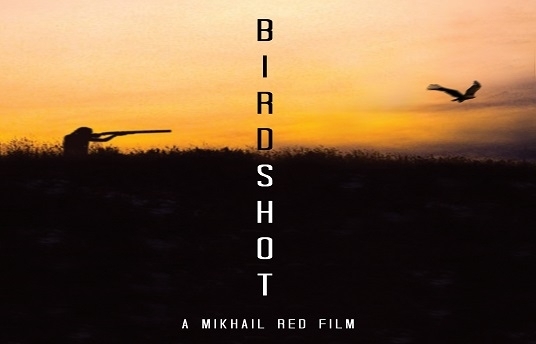 The basic story of "Birdshot" is based upon an actual incident of a man killing a haribon. What draw you to that incident? In general what inspires you to shoot movies? I tend to craft stories around incidents or subjects that disturb me. The situation where a man kills and eats an endangered eagle and is jailed for it, is morally complex. It is tragic for both the conservationists and for the uneducated communities living near the wilderness. My films tend to have morally ambitious characters where there is no clear line between protagonist and antagonist, just victims of society making difficult decisions while trying to survive. I am fascinated by likeable criminals and corrupt cops, a staple for the noir genre, and I tend to inject my message while using the noir / thriller genre as the surface layer and sometimes I bend the genre and mix in other elements. Violence seems to be everywhere in the film, and addressed to children, women, policemen, even animals. Why did you choose to portray violence in that way in the film? Is that the case with life in the Philippines? In general, what is your opinion of the depiction of violence in cinema? Violence is inevitable, especially in a third world society where the disparity of a stretched social stratum is like a rubber band being pulled to its limits, waiting to snap. It is always there, a looming threat waiting to disturb the peace. In my films, I try not to oversaturate the atmosphere with violence, I always give the audience time to breathe with hypnotic contemplative moments, but there is always tension lurking, you constantly have that unsettling feeling that something is approaching and there’s no way stopping it. My films tend to linger in the first and second act, but I always have an explosive finale waiting for you at the end, just like in life, the endings are what matter, they give meaning to the entirety of the film and I make sure that the audience remembers it. With your film entailing police corruption, the killing of a bird that is considered a national treasure and the girl using a shotgun, did you stumble upon any problems with the authorities during the shooting of the film? Furthermore, were there any memorable episodes during the shootings? Corruption is a subject constantly tackled in Philippine Cinema. It’s been plaguing our country for generations. I decided to deconstruct corruption and present it in its most primal form – the extinction of innocence. The film has multiple parallels between Maya and Domingo, Domingo being the more human character, falling for the traps and conforming to the status quo, while Maya is a myth, she subverts the entire cynicism of the film and is probably the last of her kind, just like the eagles. By showing the simple seeds of corruption through a parable-like story, we get to imagine how it spawns more complex forms until it is almost unidentifiable and ingrained in Filipino culture. 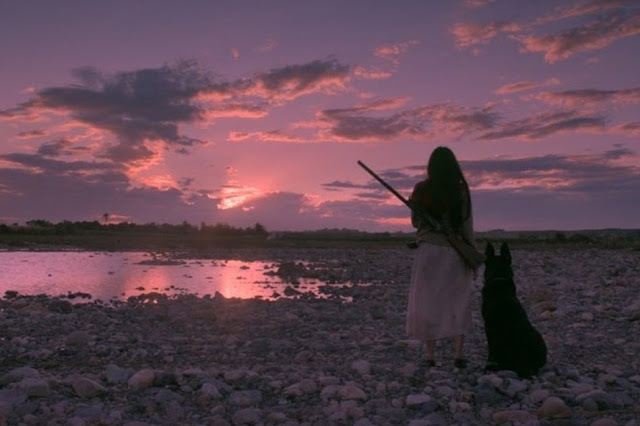 Since societal corruption is something that is now commonly acknowledged by most of the population, the authorities do not give films like "Birdshot" much thought or attention. So no we never got into trouble, it was a relatively calm shoot. The only thing memorable and unpredictable was the growth of the cornfields, it exceeded the height that we were going for and we had to readjust the storyboard for the finale. It all turned out well in the end. Can you tell us a bit about the location the movie was shot in? We shot the eagles in Davao. There’s a sanctuary there where they house injured eagles. We filmed them with long lenses while in their cages. One eagle had a clipped wing because it was a gunshot survivor, we could only film it from one angle. In the process of making the film, another eagle was released into the wild but was later killed by a poacher. It just shows you that this is an ongoing crisis. For the farm, we wanted a western look so we shot in the cornfields of Isabela up north, the total opposite side of the country from Davao. We filmed near the majestic Sierra Madre mountain range, where, coincidentally, the last colony of Wild Luzon Philippine Eagles is located. We never saw one though, from what I heard there are only 32 of them left in the wilds of Luzon. Myoko David's cinematography is impressive. Can you describe the way you collaborated with him? He is one of the most talented cinematographers working in the Philippines today. He was able to give the film a very classic western look. We used old film lenses on Arri Alexas and collaborated with legendary colorist Marilen Magsaysay to give the film a very earthy desaturated image. Mycko always has impressive composition and his camera team also performed well when I needed shots that had very controlled and precise motions. It was even more challenging getting the shots and mounting equipment in remote locations, but overall, the camera department was able to pull it off. I am very lucky to have the same visual package of Mycko David and his camera team, Marilen Magsaysay as colorist, and Arri Alexas for my third film "Neomanila". Manuel Acquino, Arnold Reyes and Mary Joy Apostol, and John Arcilla are impressive in their parts. Can you tell us how you guided them for their part, particularly for Reyes's transformation and Apostol's turn to violence? In general, what was the casting process like for the film? They were all my first picks for their roles. I needed actors who were patient and who had the stamina to maintain emotion even after multiple takes and angles, I knew "Βirdshot" was going to have some very dynamic sequences that required a lot of shots. Mary Joy was impressive even if it was her first feature, we found her after auditioning about 100 girls and shortlisting to around 20. She had the perfect balance of innocent grace and fiery ferocity, and she looked good with a shotgun. She also had great chemistry with Manuel Aquino who played Diego, also an equally impressive actor. I was already blown away by Arnold Reyes’ performance in "Graceland", and I knew immediately he had the acting chops to pull off Domingo’s descent and transformation. John Arcilla who was fascinating in Metro Manila was also my top choice for Mendoza. He had the versatility to play a worn-out, morally gray character. I’m happy with the cast of "Birdshot" and I hope to work with them again in the future. How much was the budget about and how come CJ Entertainment got involved in the production? The budget of the film is around 260,000 USD. We got some money after winning a production grant from the Doha Film Institute, majority came from an investment by groundbreaking local film studio TBA, and we won the CJ entertainment prize from the Busan Asian Project Market, hence the CJ logo. All in all, it took us around a year to finish financing, and another year to complete the film. What is your opinion of Filipino cinema at the moment? It’s vibrant, it has a strong presence in the international film festival circuit, there’s a lot of films being made because of all these local grant film festivals, the only challenge that remains is distribution and finding a wider audience. We still need to develop the local audience so that they slowly embrace alternative cinema. I’ve been trying to combine socially relevant themes with genre elements in an attempt to reach more Filipinos. I want to smuggle the subtext while packaging it in a more commercial form, so it is a challenging balancing act between style and substance, for me it is the only realistic solution to make filmmaking a sustainable career and to deliver potent messages to the mass audience. I admit I have very western influences. My favorite filmmaker right now is Denis Villeneuve, but I admire the versatility of Steven Soderbergh. My favorite film is "No Country for Old Men". My favorite Asian director is Bong Joon Ho. I liked "Memories of Murder" and "Mother". I liked "Blade Runner", "Vertigo" and "Elephant". I’m also obsessing over Post Horror films now, in fact my fourth film is a horror film. It’s entitled "Eerie" and it won in NAFF Bifan and is now greenlit by a major local studio. "The Witch" and "It Follows" were great, but I still think "Ringu" is better. My tastes are very random. Can you tell us a bit about your latest movie, "Neomanila"? "Neomanila" is about the present Drug War in Manila but it is told through the point of view of people literally caught in the middle – the middle men between police and drug suspects. These hired guns act as an unlawful extension of shady police elements, they hunt down rogue assets, drug pushers and informants for money. The film focuses on the relationship between a middle-aged female assassin and her protégé – a teenage orphan. Their loyalties and convictions are tested when the target in one of their assignments turns out to be a familiar face. It’s a nocturnal thriller set in urban manila, a totally different film from "Birdshot", made with totally different circumstances and resources. But there will be some similar themes and some surprises.